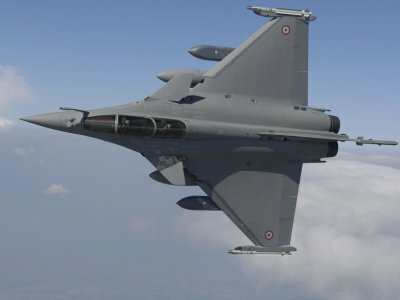 French plane-maker Dassault Aviation SA sees a new sale contract for its Rafale fighter jet in 2018, Chief Executive Eric Trappier said in an interview with French regional newspaper Sud-Ouest on Sunday. “After a contract signed in India, regarding the delivery of 36 Rafale jets, and the order of 24 of these aircraft by Egypt and 24 other by Qatar, we should soon conclude a fourth contract abroad, but it will rather be in 2018,” Trappier said in the interview. Dassault Aviation is also in talks with India over a potential second contract, Trappier added. “We’re notably in talks with Malaysia over 18 aircraft, but also with India over a second contract,” the plane-maker’s CEO said. “India’s needs are enormous. Hence, for its navy, 57 aircraft are considered,” he added. Rafale is seen as front-runner in Malaysia, as the country looks to replace its aging fleet of combat aircraft. A deal to sell 18 jets could potentially be more than $2 billion, sources have said.